Lola Hosting together with our sister company, Lola Wireless, have teamed up to bring you a free, toll free number for your website/business with 100 included minutes each month. We know starting a new business or expending your existing business can be difficult, and nowadays image is everything. Did you know that a toll free number can be an indispensable business asset, regardless of your company size or length in business. A toll free number goes beyond brand recognition and credibility, it can also increase your sales and ROI. 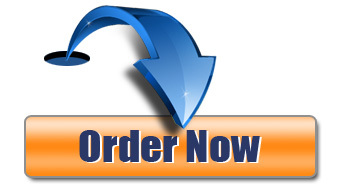 Click the “Order Now” button below, this will take you to our “Member Portal” section. Sign up for a new domain, transfer an existing one or just host with us. Enter a US based number you want the toll free number to be forward to, this can be a cell phone, home phone, etc.. Enter the promo code “toll free” in the promo code section and hit go. Enter your information and press complete order. Toll free number will be emailed to the customer after the order has been processed. If you are moving your existing website to Lola Hosting, free migration assistance is available by opening a support ticket from your member portal. Free toll free number is available to new Lola Hosting customers only, who sign up for Lola Supreme hosting package. Toll free number will be provided to the customer free of charge for the first six months and include 100 free minutes monthly. Additional minutes are billed at 3.6 cents a minute. Customers wishing to keep the toll free number after the six month promotional period will be charged 9.99/month. Customer can cancel toll free number service at any time.